Pamilacan Island Bohol is a small island which is nestled in the heart of the Bohol Sea. Its name is derived from the word pilak, which is a large hook made and used by islanders to capture manta rays. Meaning literally "resting place of mantas", this island is 23 km east of Balicasag off the coast of Panglao Bohol and as the name suggests, you may be lucky enough to find yourself swimming with one of these creatures. For the scuba diver, there is a marine sanctuary on the northwestern side and coral formations, together with anemones, sea fans and sponges are particularly impressive. Another site, Cervera Shoal, is quite often combined with an outing to Pamilacan. It is a sunken island with a sea mount rising to 15m. There is a colony of banded sea snakes here, leading to its other name, "Snake Island". Corals are not so good, but large pelagics more than make up for this. Regular visitors include whitetip sharks, butterflyfish, scorpionfish and sturgeons. Pamilacan Island Bohol is also the place to go for visitors who want to see dolphins and whales frolicking in their natural habitat. 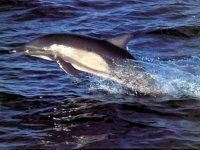 The seas around Bohol are a haven to more than 11 species of dolphins and whales, including the bottle-nose dolphin, Risso's dolphin, pan-tropical spotted dolphin, long-snouted dolphin, Fraser's dolphin, melon-headed whale, short-finned pilot whale, Bryde and the sperm whales. Go watch whales and dolphins in the Bohol Sea with the locals of Pamilacan Island Bohol. Ex-whale-hunting boats called canter have been refitted specifically for a safe and comfortable trip. The boats, measuring 15 to 20 meters in length, can accommodate up to seven passengers. Each of these crafts is furnished with seats and roofing, and equipped with life vests. You will be accompanied by skilled spotters whose familiarity with the area also makes them excellent guides. The best season is the months from March to June, but resident dolphins and small whales can be found all year round. Tours are dependent on weather and sea conditions. Seldomly seen are the pygmy-sperm whale and the Blainville's baked whale. Other non-marine mammals encountered in the area are manta rays and whale sharks. Pamilacan Island Bohol is a coral island, and fossilized seashells are preserved on the island's rocky hill. Jaws and other bones of marine mammals and whale sharks adorn some homes in the village. The blue waters surrounding the island teem with lush and colorful marine life. The marine realm of Pamilacan Island Bohol provides whales and dolphins with the ideal refuge. Although there is no guarantee that one could experience the thrill of seeing whales and dolphins during the trip, looking for these mammals has become easier. Other attractions around Bohol include the historic centuries-old Spanish fort and the white sand beaches. In Spanish times, the island was an outpost for spotting pirates and invaders, as evidenced by the fort on the northeast side of the island.